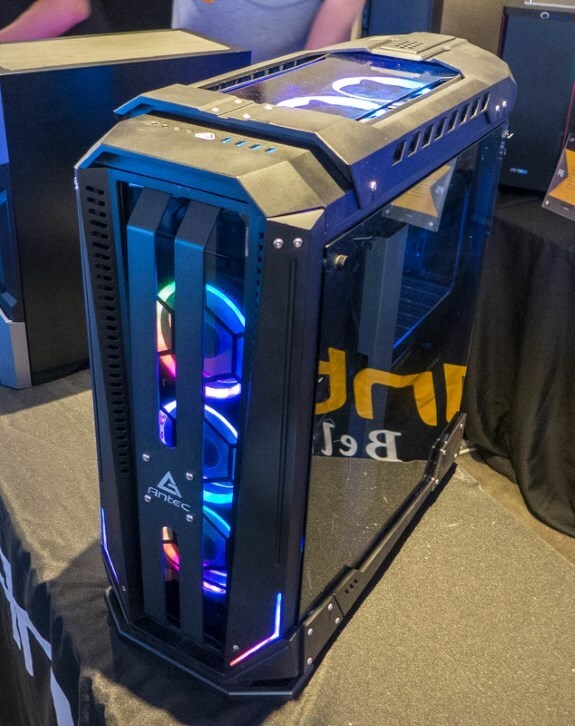 Last week we covered Antec's Project X but it appears the firm also had another special case on display. While most Antec cases look pretty bland and boring these days, the new Krypton case stands out from the company's case portfolio. Krypton is a full-tower model with room for an E-ATX sized motherboard. 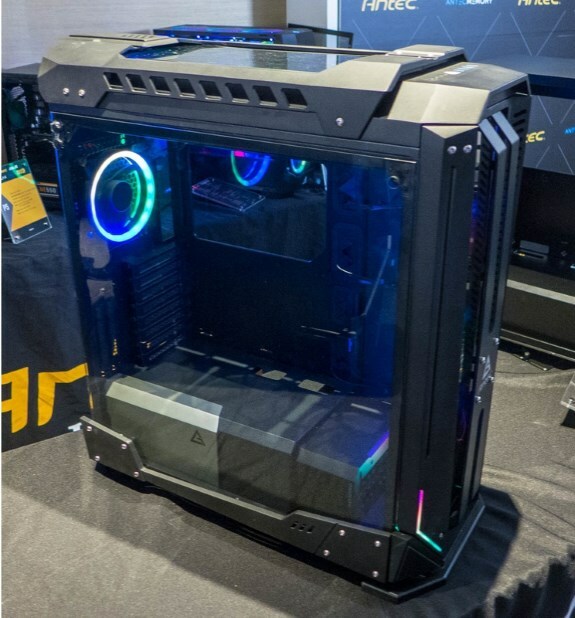 It has an industrial design, tempered glass side panels, an open front panel with room for a 360mm watercooling radiator, and RGB LED accents. The PSU area features a modular shroud and the case comes with a support bracket or heavy VGA cards. There's also room or another 360mm radiator in the top of the case. Antec's Krypton ships in Q4 2018 for 190EUR.